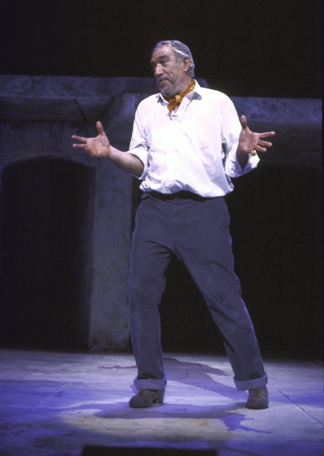 The plot: A young man named Nikos arrives at Crete to open an old mine that he has inherited, taking Zorba, an old man who loves life, with him. There, Nikos meets a beautiful Widow, with whom the young Pavli is obsessed and Zorba meets Mme. Hortense, an aging courtesan who falls in love with him. One day Pavli sees Nikos embracing the Widow and kills himself; his family decides to revenge his death by stabbing the Widow. Soon Nikos and Zorba discover that the mine is too old to be of any use. Hearing that Hortense is very sick the two men go to her and Zorba marries her just before she dies. Facing their grief Nikos and Zorba dance and each one follows his destiny. Awards: Tony Award for Best Scenic Design. Drama Desk for Outstanding Lyrics, Costume Design and Set Designer. 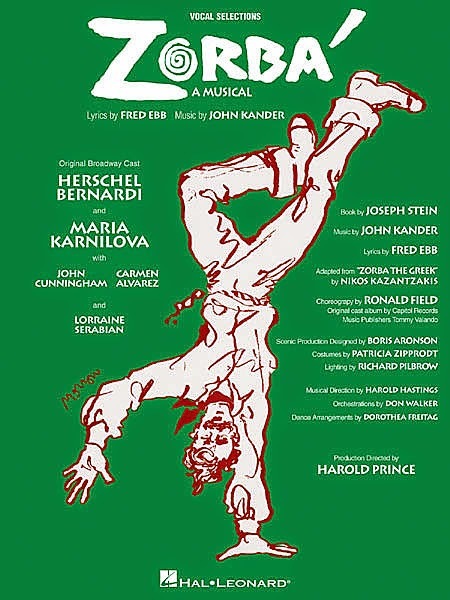 On 1983 a revival production opened on Broadway and ran for 362 performances.